Over 58,000 people will be diagnosed with cancer in Michigan in 2019 estimates the American Cancer Society and the average cost of cancer treatment is $150,000. 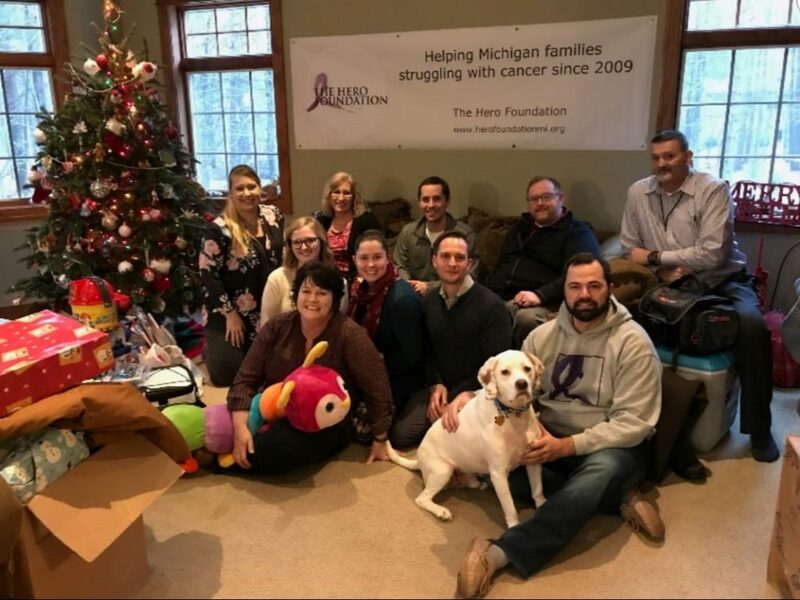 A grassroots nonprofit, The Hero Foundation, is doing their part to help Michigan families battling cancer by providing financial assistance to cover the most basic needs. In 2018 The Hero Foundation donated over $35,000 to over 20 families across Michigan. The foundation was started by Katie Larsen in 2009. Larsen, of Waterford, felt spurred to action after her own father’s cancer diagnosis. “When we started this foundation, our goal was to help Michigan families in honor of my father’s survival of pancreatic cancer,” she shared. Katie’s friend, Adam Henige of Grand Rapids had lost two friends to cancer. Jesse Jones of Sparta, another good friend, is a cancer survivor. They now form the board of The Hero Foundation along with five others from east and west sides of Michigan. In 2009, The Hero Foundation was officially formed and earned 501c3 status. 99% of funds raised through the charity go directly to families. “We really have no expenses,” said Henige, explaining no funds are spent on wages as the group is 100% volunteer run. Funds are raised through events, partnerships with local businesses, corporate giving and personal donations. The Hero Foundation assistance is dictated by the families they help. They have assisted in paying mortgages, utility bills, medical expenses, grocery bills, gas cards, snow removal, home and vehicle repairs to name a few. They also provide Thanksgiving dinners and Christmas gifts to lift the burden of holiday expenses. 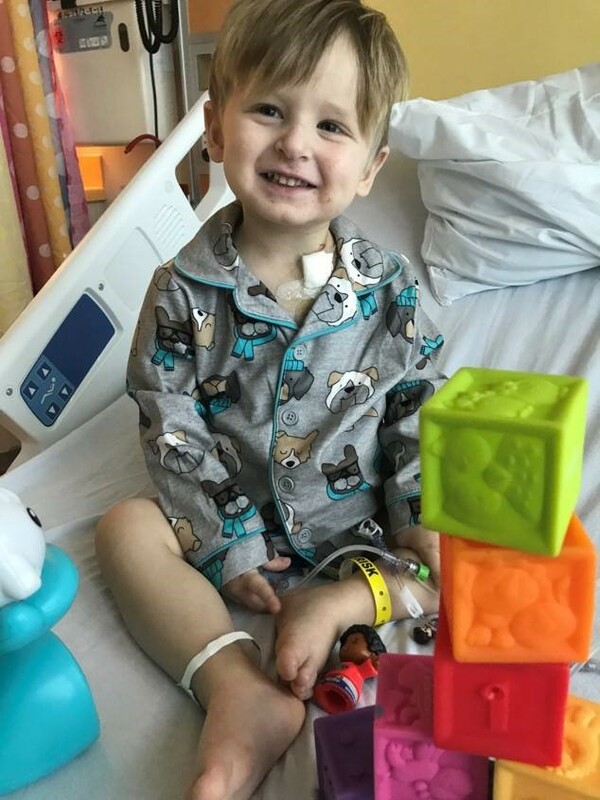 One mother whose child survived leukemia shared that the financial help from The Hero Foundation, “lifted a burden off my chest that I can’t express.” The mother explained that other foundations she had sought support from, “make you go through a lot of hoops” to receive financial help. The support from The Hero Foundation “doesn’t put strings on the funds” she could pay her bills herself as she needed to. “We realize the stress that cancer treatment causes and if we can alleviate even a little bit of that by providing funds to pay for basic needs in the easiest way possible then we are accomplishing our mission,” shared Larsen. 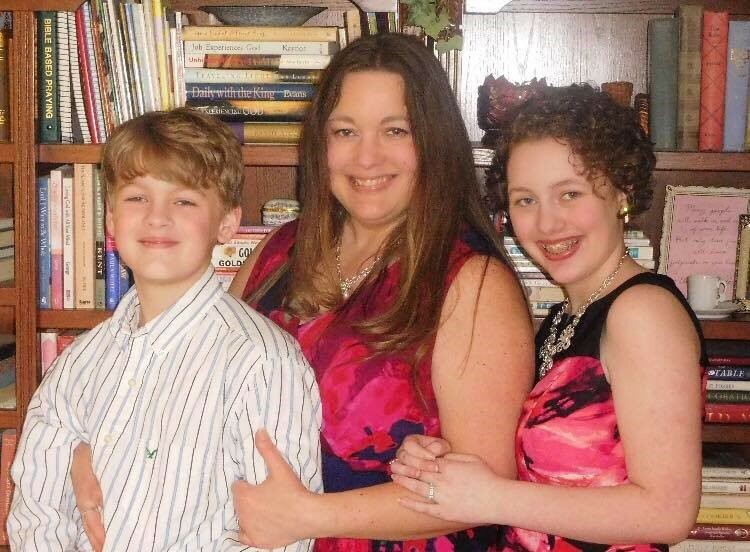 For 2019 The Hero Foundation has already identified five Michigan families but have funds to support more. If your family is battling cancer and could use financial assistance or if you know of someone who may qualify for help, direct the online form linked HERE. If you or your employer would like to support The Hero Foundation financially, partner on a fundraiser or share other creative ways to get involved so they can help even more families please contact us HERE. To donate directly click HERE. 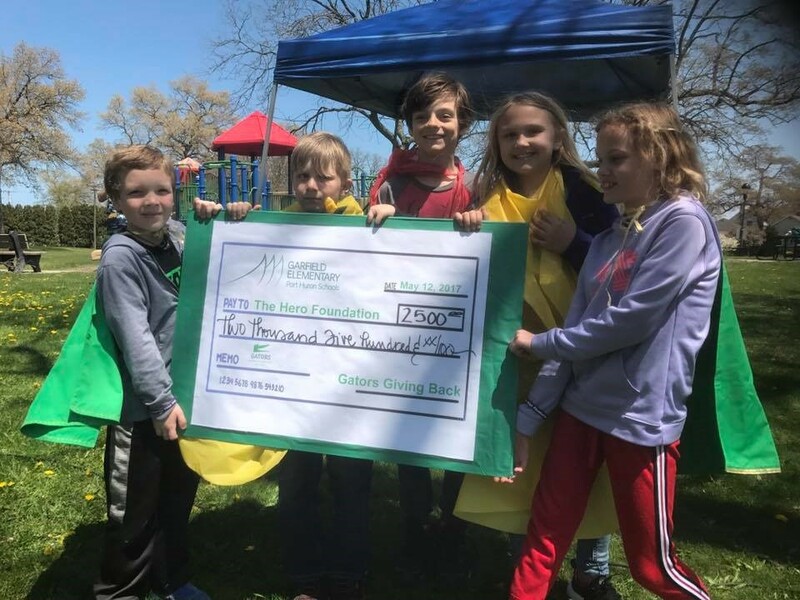 Thanks to this Port Huron Elementary School for raising funds for The Hero Foundation! We’re proud to say we Lucy pay off ALL of her medical bills so she can focus on beating cancer through ongoing treatment! Silas is 2 and going through cancer treatment at Helen DeVos Children’s Hospital. The Hero Foundation helped his family have a little bit of a brighter Christmas in 2018. Thanks to Meijer for donating Christmas gifts in 2018 – here our board wraps the gifts leaving tags empty for parents to complete. 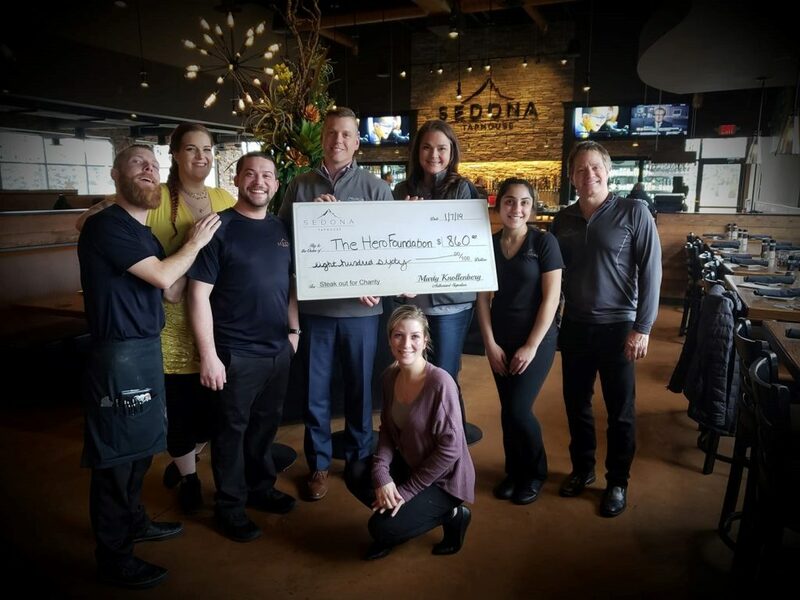 Thanks to Sedona Taphouse in Troy for choosing The Hero Foundation as their charity of the month in December 2018!